A group of 17 Italian speleologists joined an exploring expedition in Nikaj-Mertur area in the frame of Shtares 2018 project. This is the fourth year in a row that the expedition takes place in the Albanian Alps. The series of expeditions started in 2014 and they were followed by Curraj 2015-2016 and Shtares 2017 organized by GSM, GS Faentino, GSB-USB of Bologna, and La Venta, under the lead of SSI. 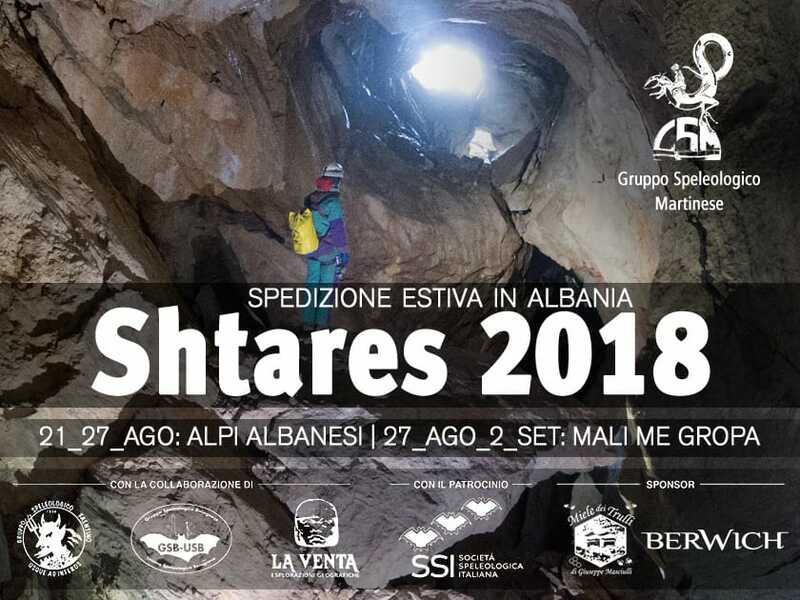 Shtares 2018 started on Monday, August 20 and the group of 17 speleologists defined a list of difficult objectives to achieve, the Italian website scintinela.com says. Shtares cave in Shtreza Mountain was discovered in 2016 and explored at a total length of 2.7 kilometers. The team says that the strong and freezing air helped them understand that it was a low cave. In this expedition, the team paned three climbs in the cave and it has high expectations. Another object consists of a 150 external climb with the aim of exploring the upper levels of the cave. The team of speleologists is convinced that they will complete the exploration of the cave until August 27th. They also plan to explore the upper part of Shtreza Mountain. Satellite images show large karst and ice depressions that can also be entrances to the cave. At the end of the expedition, a part of the team will return to Italy while the other part will continue further south to Mali me Gropa. They will follow the traces of a group of speleologists from Puglia that explored the area in the 90s.